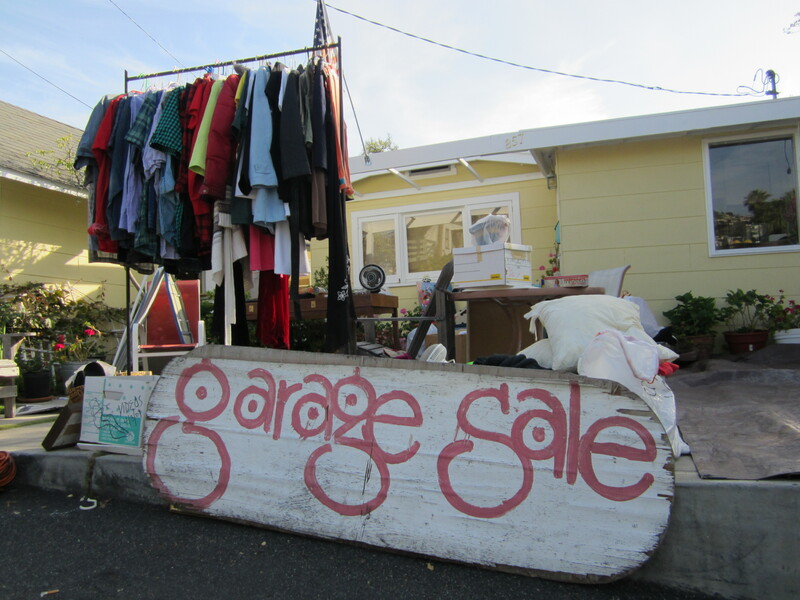 Garage Sales…Who Cares for Them? Be prepared to haggle a little and sometimes a lot. As long as you have a bottom line price in your mind it’s a win-win situation for everyone. After all, the goal is to purge your garage, attic and closets of items that have invaded your once humble abode. If in the last two years, the only use the accumulative items can boast about is collecting dust, then it’s time you send them off their merry little way into someone else’s wonderful life. Erase from your mind what you originally paid for the item. The minute a store’s purchase return policy expires, it’s the end of the line for its monetary worth. Liberate yourself and give someone else the opportunity to enjoy something you clearly have forgotten about. The night or two before the big day, spend some time organizing and categorizing items. This will not only benefit you the day of the garage sale, it will help all the enthusiastic crusaders searching for their holy grail as well. They come in all shapes and forms. Drive bys with multiple people in the car—the more peering eyes, the more they will see to fancy. I have seen die-hard drive bys with binoculars—they mean business. They are interested in something and if you have it in your sale, say bon voyage to that item because it is destined for its next journey. After all, time is money and they are compelled to hit all the other community garage sales BEFORE anyone else buys their next prized possession. Do not be discouraged by the pick-up truck piled-high-to-the-sky with everything but the kitchen sink. The driver will most likely stop and buy, or at least low-ball your well-calculated price. And yes, he will cram in your kitchen sink or that bicycle (with the flat that your were suppose to pump up four years ago) into his pick-up. If you are a fortunate soul who does have a community garage sale, congratulations you can sit back, apply sun block and enjoy the parade. The advertisement is most likely paid for by local real estate brokers, some even bring you donuts and a cup of Joe before the parade of cars arrive. If the garage sale has been going on for years, calendars have already been marked for the next year since the sale falls on the same weekend every year. Because community garage sales stir up such an entourage, cultivate your children into mini entrepreneurs with a lemonade stand. I once asked a father how his aggressive little sellers made out with their lemonade and treat stand and he said $80.00! Not a bad return for lemonade served in three-ounce cups and an operation running for four hours. Your little tycoon’s profits will soar if the forecast calls for sun that radiates off the blacktop and onto the brows of garage sale chasers. Don’t worry if yo u stand alone with the garage sale. It’s a day well spent outdoors while the children play. You may not get the tailgaters advancing your way, but you will get a few curious souls and you will make some cash along the way. And of course, your nest will be graced with balance and tranquility now that you bequeathed that unused clutter onto someone else.